A fire pit can add beauty, warmth, and light to your outdoor living area—enhancing the space in a way that you can enjoy it to the fullest. 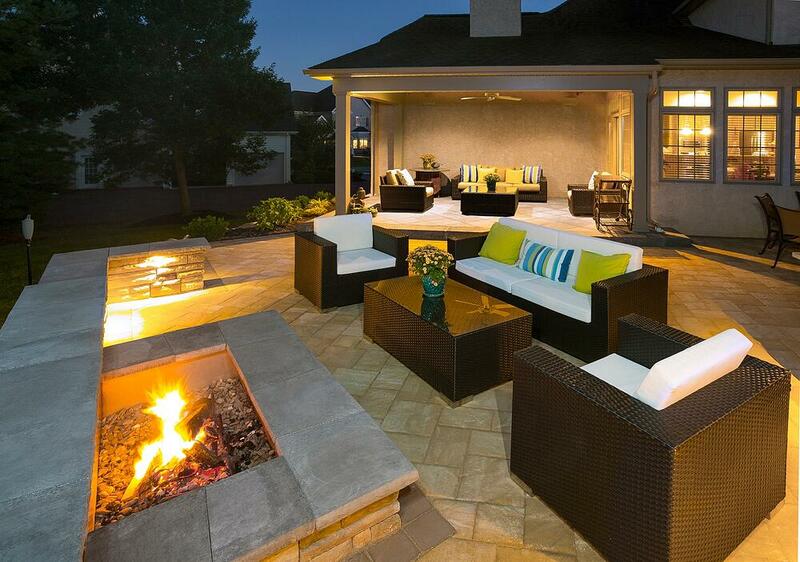 The ambiance of the fire will make your outdoor meals, lounging, or entertainment even better. That is, unless smoke is blowing in faces—or if the fire pit on the patio is taking up so much space that you can’t even move around it comfortably. When fire pit designs don’t take placement into account, a fire pit can actually detract from a space more than it can add to it. That’s why where you situate your fire pit is a critical detail that simply cannot be overlooked. The last thing that you want is to spend money on an annoying fire pit you never use. Like any aspect of an outdoor living area, time should be taken in the design process to make some key decisions. For a fire pit, one of those decisions should be about the ideal placement. For one, you might be wondering whether you should build a fire pit on a patio or have an entire fire pit area in the backyard. There are some questions that you can ask during the design process to start narrowing down your choices. 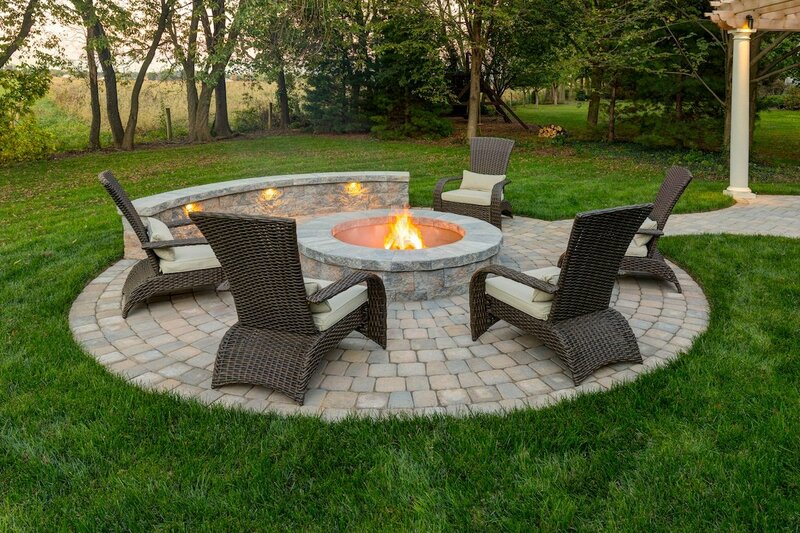 Here are the questions we believe you and your landscape designer should be asking as you come up with the best fire pit design ideas for your property. Have you had a fire pit before and how did you use it? Right out of the gate, an important question that a landscape designer can ask is whether you’ve had a fire pit before. When homeowners had a fire pit on another property then they already really know their likes and dislikes about it. That can go a long way in dictating a new fire pit design—one that is even better and solves concerns that you had or that replicates what you loved most. 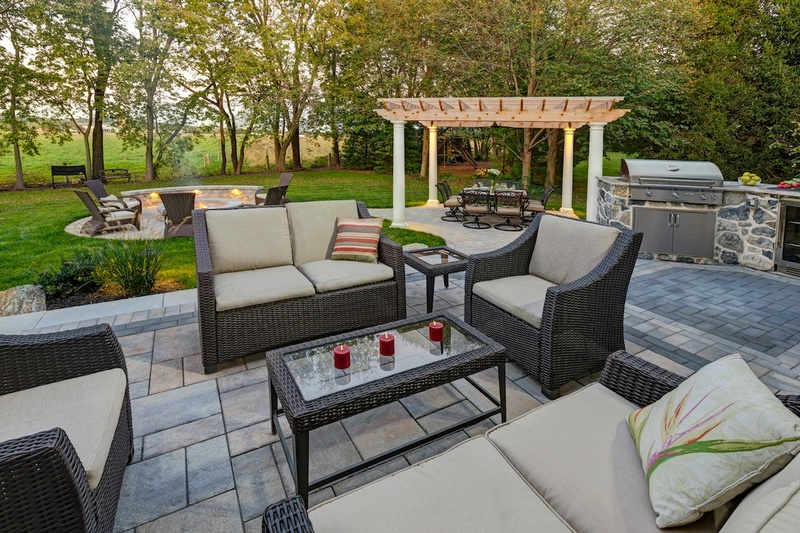 Of course, many homeowners building an outdoor living area are considering a fire pit for the first time and they don’t know what they like (or might dislike) about one. If you’re someone who is on the fence about whether or not a fire pit is right for you, you might want to consider buying an inexpensive portable fire pit to temporarily use and see how you like it. This can help you make important decisions—including where on your property a fire pit might be best situated—before you build a fire pit that is permanent. From which direction does the wind primarily come on this property? 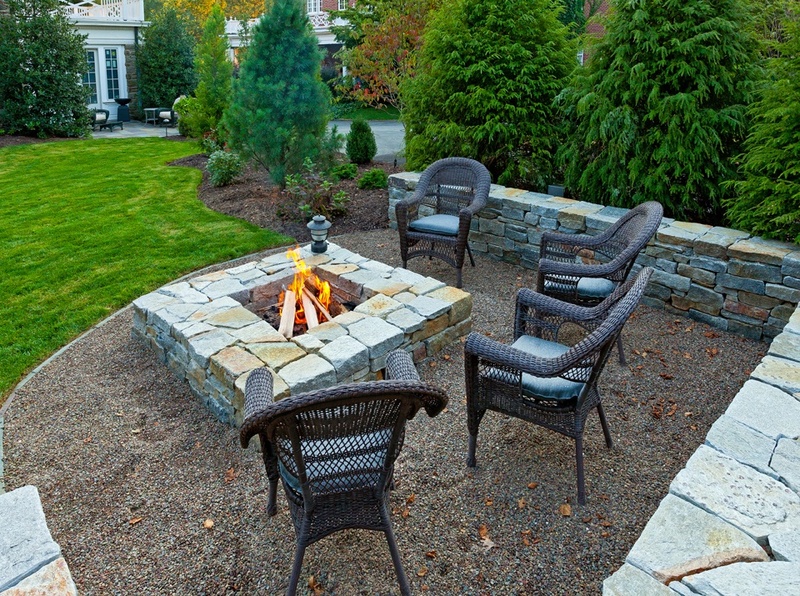 A critical question that your landscape designer should absolutely ask before they build a fire pit is, “Which way does the wind blow in relation to the desired fire pit area?” This is essential information for all fire pit designs because it will help determine where the smoke will blow during times of year you’re likely to be spending time outside. On some properties, wind patterns blow in more than one direction over time which sometimes is affected by other existing structures, topography, vegetation, etc. If these factors apply to your property, a wood-burning fire pit simply may not be the best answer if it means smoke is always blowing around. This may lead you to consider an outdoor fireplace, where smoke will be directed up through a chimney and flame protection on three sides from surrounding winds in provided. Do you want a wood-burning or gas-powered fire pit? Are you envisioning a campfire style fire pit that burns real wood? A lot of homeowners say that nothing beats the smell, sound, and look of real wood. However, there’s definitely a benefit to being able to turn your fire pit on and off with the push of a button when it’s gas. If you prefer quick ambiance without the messy tendencies of managing a wood fire, this is something to discuss with your landscape designer. Of course, gas versus wood is also an important factor in terms of where you build. When building a gas-powered fire feature there are gas lines to be run, so access is an issue. With both gas or wood, local codes also need to be taken into account in terms of how close to your home you can add a fire feature. There is a required distance that must be adhered to. 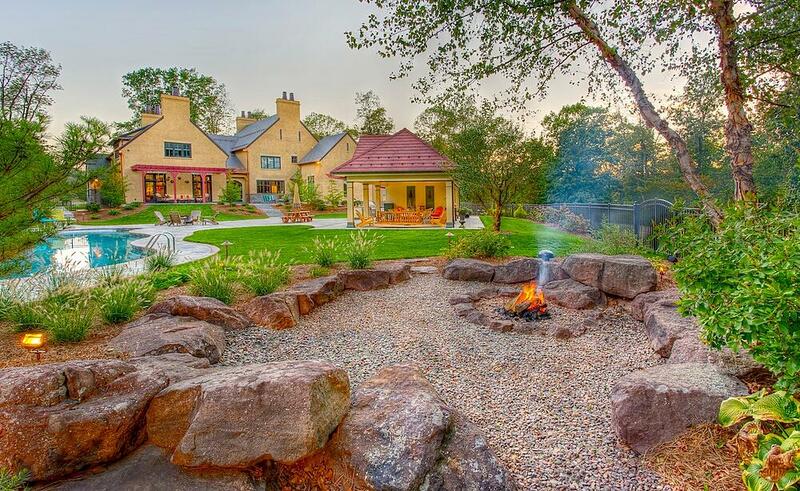 How many people do you envision at your fire pit? Is this a fire pit for you and your spouse to enjoy a glass of wine at on the weekends or are you picturing having a roaring bonfire with several other families? How many people you think will regularly be gathering around your fire pit will help dictate its size and therefore its ideal placement. Do you want a seat wall? If you’re envisioning a wall built around your fire pit where you and your guests can sit, then you’ll, of course, need to make sure you have enough room to incorporate something like that on your patio. If you can’t, or it’s going to take up the entire space, then you may consider adding on to your patio with a separate fire pit area—or even adding it somewhere else on your property. 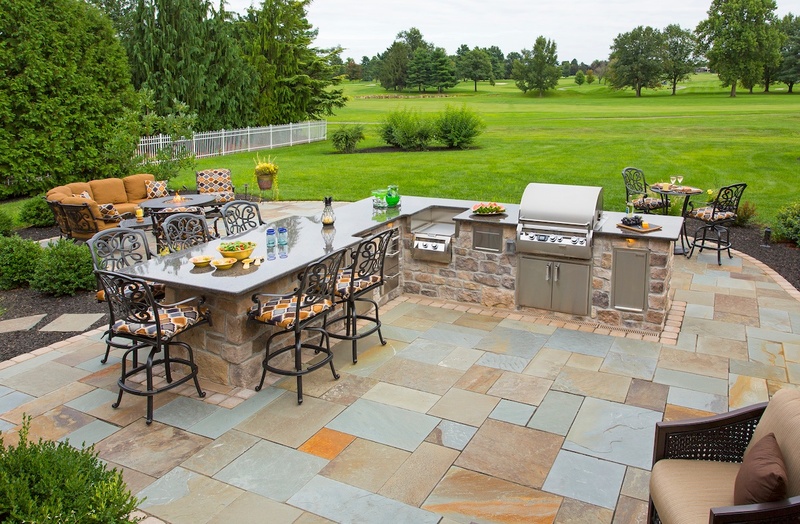 Perhaps creating a more remote and intimate space is just what may complete your perfect backyard. Do you want a square or round fire pit? 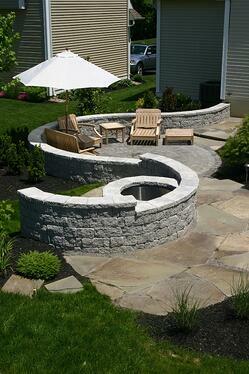 The shape of your fire pit will also be important in determining its ideal placement. You’ll have to think about what you like in terms of style but also what will fit best in the space that you have. 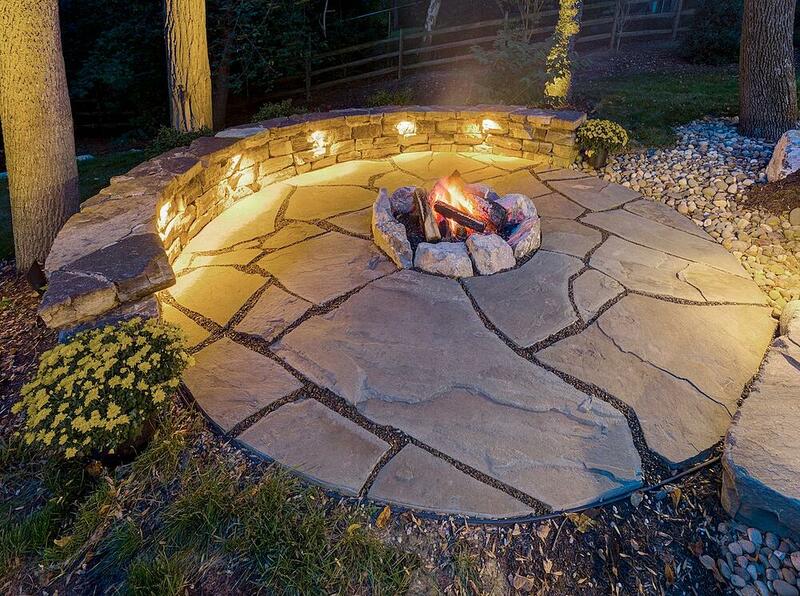 A circular fire pit has more of a traditional, campfire feel to it and beckons people to gather around it. But a square design has a different sort of appeal—one that is a bit more modern and might fit on a patio where you don’t envision having big bonfires, but maybe a more cozy and intimate gathering. Regardless of your preference, always remember to account for any furniture that you might want to incorporate once your fire pit is in place and that you have ample room for it. Talking through these questions with a landscape designer can help you to determine where on your property a fire pit is best situated in order for you to maximize its use and ensure that it’s a feature which enhances your space—not detracts from it. 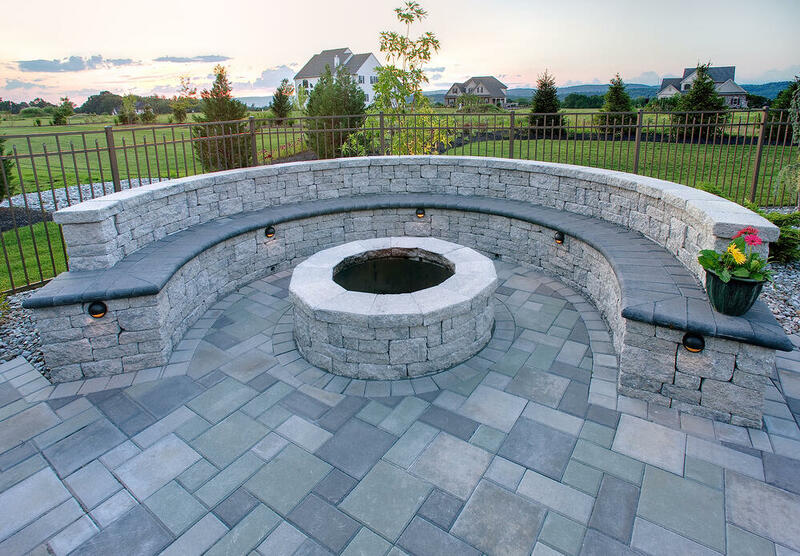 Of course, it’s important to mention that not all landscape contractors in Lancaster, Reading, York, and Hershey, PA and surrounding areas, are going to take the time to get this detailed when it comes to adding a fire pit to your outdoor living area. 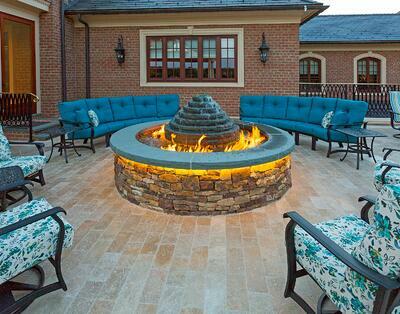 They may simply suggest adding a fire pit where it’s most convenient and easy for them to build it. But by failing to take into account all of the specific details that are important to its end use such as how many people will sit around it, where the wind will blow, or where everyone will sit, it could end up being a feature that doesn’t get much use at all. Even worse, when these details are not taken into account, it could end up being a fire pit that causes you hassle instead of enjoyment. That’s why it’s so important to work with a landscape company that champions the design process and, like all aspects of your outdoor living area, will think through every possible detail and help you make the best decisions. Don’t get stuck with a fire pit that you don’t love. By working with the right landscape design company, you can ensure that you’ll end up with a space that you truly love and use to the fullest. 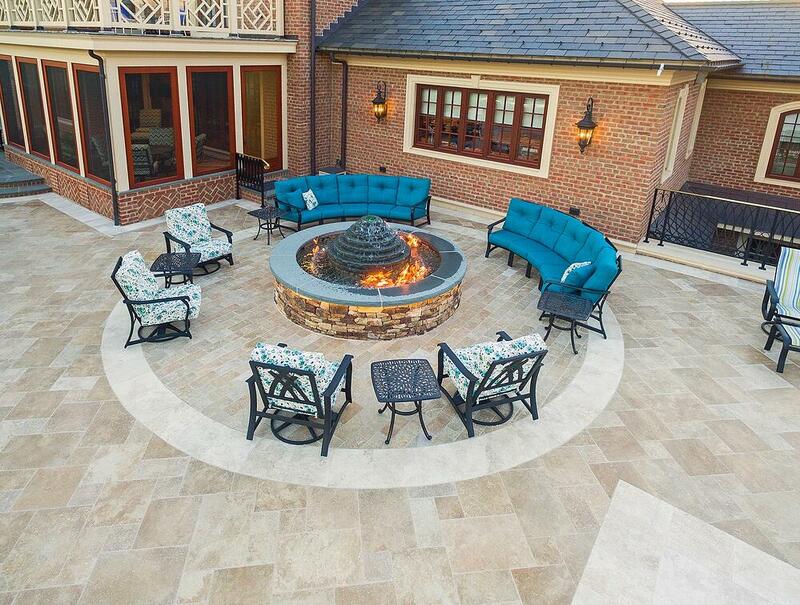 If you’d like to start a conversation about adding a fire pit, or another type of fire feature, to your complete outdoor living space at your Reading, Lancaster, York, Lebanon, or Hershey, PA home, contact us for a free consultation or give us a call at 717-276-9447. Paul brings nearly 20 years of landscape industry experience to the ETW team both from the landscape architecture and design/build arenas. 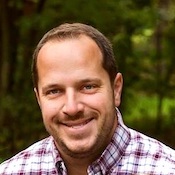 Paul obtained his Bachelor’s degree in Landscape Architecture from Pennsylvania State University which entailed studying for a semester abroad in Rome, Italy. 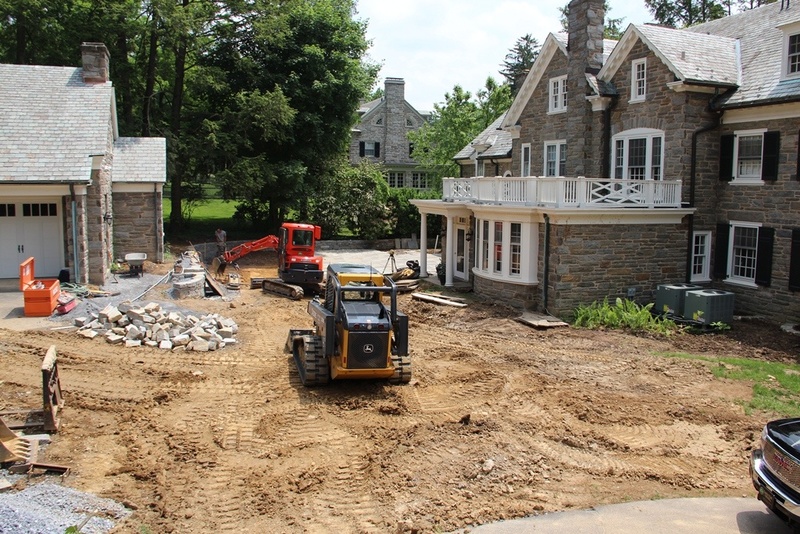 Between his professional design background and hands on experience in landscape construction/management, Paul brings a balanced approach of maintaining function, while incorporating custom tailored aesthetics to each unique outdoor project and design.